Are you a care provider or an early childhood educator? 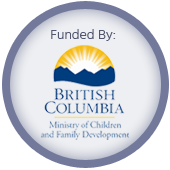 Find useful information and links on relevant topics including becoming an Early Childhood Educator (ECE) and on provincial bodies such as the Early Childhood Educator Registry and the Early Childhood Educators of BC. Are you a parent or guardian of a child? We have a wide range of resources and organizations with links and contact information. Find out how to connect with organizations like the Family Centre and view links with information on Daycare Subsidies and the Canada Child Tax Benefit. “Sometimes the littlest things take up the most room in your heart.